The Northwestern corner of Bulgaria, from west to east: Vidin, Montana, and Vratza. We have been serving with the Gospel and mission work in Northwestern Bulgaria since 2001, and by moving to serve in the local church in 2009. 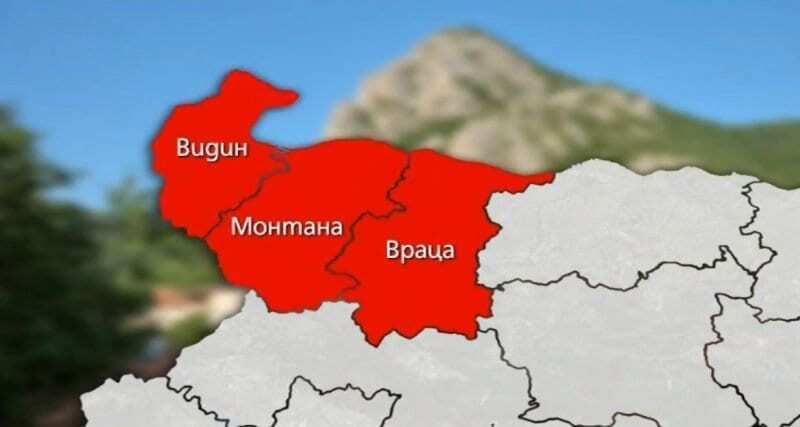 Recently people in the region called for the autonomy of the three Northwestern districts in the country — Vratza, Montana, and Vidin. However, the initiative was withdrawn as its leader, a factory worker from Montana, acknowledged that his idea was to point to the devastating economic situation in the region and feeling of despair people who live there feel. Northwestern Bulgaria is the poorest statistically region of the European Union. The Northwestern voters usually support generally support in the majority the Bulgarian Socialist Party, the former communist during elections. Only the truth of the Gospel can help these desperate people, and this may be a cry for spiritual help with the message of hope in Jesus. There are churches in the Northwest region, however, they are small and face economic and spiritual hardship. Our perception is that it is the place with least missionaries in the nation. This entry was posted in Bible, Discipleship, Life in Bulgaria, Mission & Evangelism, Missionary Diary on January 6, 2018 by admin.